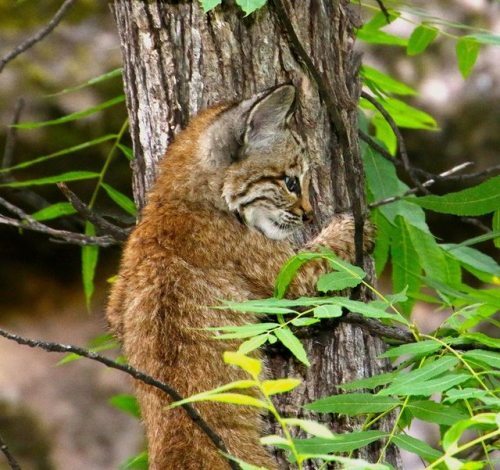 I’ve had a special place in my heart for bobcats since I was a child. My grandfather used to live-trap them for zoos and I had the good fortune to be able to see them up close and personal while they were awaiting transport. So you can imagine my delight when I got this photo through the the America’s Great Outdoors Tumblr blog. What a sweetie pie! I also had the good fortune to snap this photo many years ago while turkey hunting. This photo was taken through the patio door of our hunting shack. 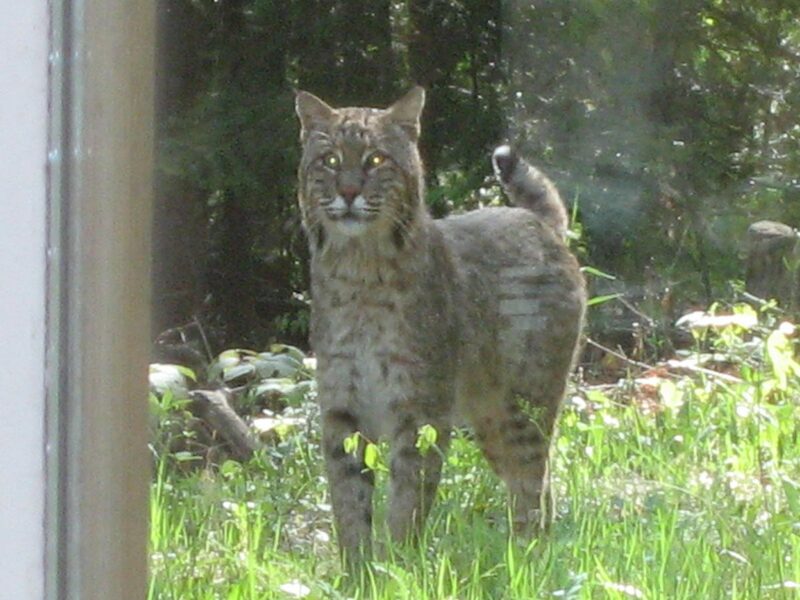 I had come in from hunting to have lunch and while I was enjoying my sandwich, this lovely bobcat came strolling up the lane just as peacefully as could be. It seems a shame there is a trapping season on these beautiful creatures.